Every visitor is asked to carefully read the followings conditions of use or consultation of this website (www.iapb.it). The fact of continuing in the use of, or in the consultation of the website itself, constitutes complete and tacit acceptance of the following conditions and other applicable regulations by the visitor. 1. The entire content of this website is protected by copyright. No part of this website may be reproduced, re-transmitted or otherwise used without the written consent of the international Agency for the Prevention of Blindness-IAPB Italy, if not for the exclusive purposes of personal knowledge, non-profit popularization and research. In all cases of publication, texts can be quoted using quotation marks, while the source (the International Agency for the Prevention of the Blindness-IAPB Italy) must be explicitly specified, clearly stating at the same time the original internet address (www.iapb.it) in the context used or in the bibliography. In the case, however, where texts are used on other websites, you must always insert a link to the web page of the IAPB Italy from which the material was drawn (it is forbidden to freely reproduce these pages without express authorization ). 2. Every reasonable effort is made to insert accurate and up-to-date information and data on the website. However, the International Agency for the Prevention of Blindness-IAPB Italy declines any responsibility in respect to the correctness of the data found within, and its use for any purpose; it specifies, in fact, that the information on this website is merely indicative and can not, and must not, replace any medical therapy. In all cases it is always advisable to consult a trusted ophthalmologist and follow the therapy prescribed after an eye exam. 3. Access to data, its use and content are intended to be at the user’s own risk. The International Agency for the Prevention of Blindness-IAPB Italy will not under any circumstance be held responsible for any special damage (direct, indirect or consequential and of any kind) deriving from the use or reliability of the available data. The documentation on pharmaceutical products is not an alternative to the consultation of a physician or other qualified health professional. Furthermore, the opinions expressed on the website do not necessarily reflect the positions of all the members of the IAPB Italy. A visitor/user who wishes to receive advice on a specific health problem should therefore always consult their own doctor. The documents and their related graphics published on this website may contain technical inaccuracies or typos. The International Agency for the Prevention of Blindness-IAPB Italy can make improvements or changes to the published information at any time. 4. Links to third-party websites lead out of this website and are outside the control of the International Agency for the Prevention of Blindness-IAPB Italy. Links to third-party websites are provided solely for visitor’s convenience and the inclusion of any third-party link does not imply the endorsement of the external website by the International Agency for the Prevention of Blindness-IAPB Italy. In particular, the information featured in the external website may not comply with the Legislative Degree no. 541/92, which regulates the advertising of medical products for human use. 5. If a visitor/user of this website wishes to forward questions, comments, suggestions and the like relating to the documents published on this same website, the content of the data will be considered unconfidential for the purpose of study, research and publication. However, the identity of the person will not be disclosed: it is "anonymized" in compliance with the law on privacy. 6. Visits to this website can be tracked. 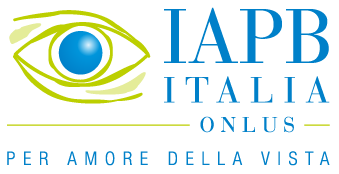 The international Agency for the Prevention of Blindness-IAPB Italy will have the right to use such recordings for statistic evaluations, in order to ensure continuity of service and for the improvement of its websites. Please, do not use this website if you are in disagreement with this practice. III) be fully aware that the text published in the forum of this website (i.e. what is posted) is automatically indexed by Google and other search engines. Therefore, if you do not want this to occur, you can use the same service of ophthalmological consultation by sending your request exclusively by e-mail to info@iapb.it. This way, the International Agency for the Prevention of Blindness-IAPB Italy gives the user the full right to opt between a confidential (strictly personal) request and a request which will be published on the forum and that can be consulted by everybody.